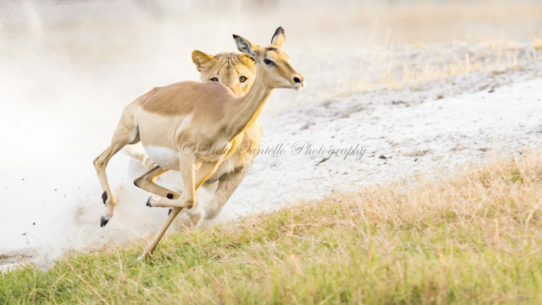 An experienced lioness ambushed this panicked impala directly into the path of a young male in the pride. He was not quick enough to catch the impala but, in a few strides, another member of the pride successfully made the kill. Canon 1dxmk2, EF600mm ii, 1/1000 at f/5.6, ISO 2000, manual mode, spot metering on Induro CT304 tripod for support.